Here to help - Choose a Dell PC equipped with MaxxAudio® by Waves to use Cortana1, your own personal digital assistant. Using Cortana with a Dell PC equipped with MaxxAudio by Waves gives you a natural voice interaction experience. The speed you need - Windows 10 starts up and resumes fast with InstaGo2 so there’s no buffer between you and your to-do list. Even your updates reach you as soon as they are available so you always have the latest and greatest features that are built to keep up with your on-the-go lifestyle. 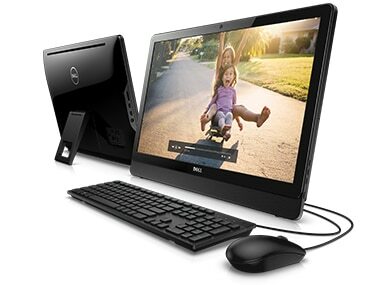 Incredible value: With a stunning 23.8" Full HD wide-viewing-angle display, the responsive performance of a computer, integrated speakers and webcam, all in an attractively thin design PC, the Inspiron 24 is an easy to use All-in-one desktop that’s a smart buy for the family. Designed to draw a crowd: Watch, learn and play games without leaving anyone out on an expansive Full HD wide-viewing-angle display. Choose the edge-to-edge touch screen option with more touch points for an incredibly interactive and smooth user experience. Simple set up, out of the box: The pop-up easel stand with one-cord set up allows quick and easy arrangement in any room. Featuring a stunningly thin panel the Inspiron 24 is available in a black color design with matching keyboard and mouse that stylishly fits any décor. Immerse yourself: Take your movies and games to a whole new level with the latest Intel® processors. It’s engineered for uncompromising graphics, powerful performance and stunning visuals that make your favorite media even more enjoyable. Room to run: Available with an up to 1 TB hard drive and optical disk drive, the Inspiron 24 gives you plenty of space to store the whole family’s movies, memories, school projects and more while still providing a consistently smooth, lag-free performance. Advanced audio: Built-in stereo speakers tuned with Waves MaxxAudio® solution and a widescreen HD Webcam allow crisp, clear online Skype sessions with your family and friends. Maximize the performance of your Inspiron with Dell recommended essential accessories. Look for these great products and more at checkout. 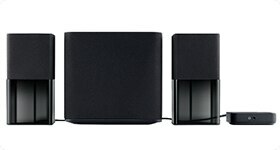 Stream music from your PC, phone, tablet or other Bluetooth® device and hear every impressive detail through stylish wireless speakers. 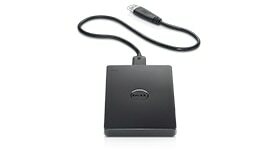 Keep your files safe and accessible with a portable hard drive that makes it easy to backup, store, and transfer photos, videos, music and more. Automatic backup software comes preinstalled. 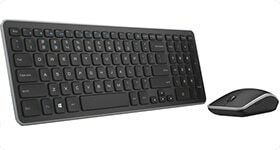 Use the included keyboard and mouse or upgrade to this wireless keyboard and mouse combo with Scissor Chiclet keys, Windows 8 gesture controls, and LED tracking.